Minori Management Research Institute has entered the 10th anniversary this year. While struggling to get each job completed, these 9 years had passed very quickly. A lot of things have happened during these years, but always thanks to the support from many people, Minori could survive the decade. In order to respond to the expectation from all these people, we are determined to continue our effort to disseminate the Minori concept to the world. 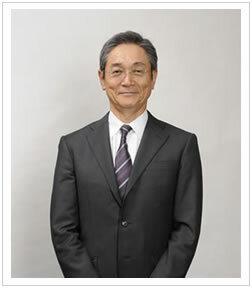 Minori’s basic policy created at the time of the foundation is still active: “Support the client corporations to create the systems to bring benefits to both the managers and the employees”, and for this purpose “Provide the concept of the integrated system of the organization, the work and the people”. Underlying belief is “Each one of the people working in the organizations has unlimited potential and, through its effective development and use by the organization, both the corporation and the employees are mutually able to grow for ever”. Up to now we have not actively offer the information to the world, but we intend to do it more actively. To begin with, in commemoration of the 10th anniversary, Minori’s homepage has been renewed, through which we will provide the information related to Minori concept more frequently. Publishing books is another. Overseas activities such as cooperative product development with Minori’s partner companies abroad are now under way. We would like to share with you what we have accumulated through our consulting experience and to let you know that Minori concept should be indispensable for the Japanese corporations to be successful. Minori still has a long way to go, but continues to strive for providing the services that lead to your success. Working closely with you and sharing the experiences with you are indispensable for Minori’s growth. We offer best-quality consulting services based on an in-depth understanding of our society, culture, economy, industry and corporate management. The basic concept of our consulting is job-based human resources management. We will reinforce the concept by implementing it to real companies. Our target is to spread our concept, implemented and proven in the field, to the world. Our clients are partners to us. We will build and develop long-term partnerships with our clients and share our successes. We will demonstrate our capability of managing a company by practicing best management in our own firm and will become the only strategic HR consulting firm in Japan based on our basic concept.